If you’re married and your wife has an Android smartphone, it’s very likely that she uses Google’s newest phone – Google Pixel XL. If this is the case, and you want to know if she can be entirely trusted, you’ve come to the right place, because we can let you track her Google Pixel XL without her ever knowing. There’s a lot to gain from monitoring on a new Google Pixel XL phone: you verify the trust in your relationship and make sure your partner or spouse is completely honest with you. Of course, there are certain risks in monitoring a Google Pixel XL, but without these risks, you will never be able to tell if that person can be fully trusted, especially at times when you’re not around and need to know whether they are hiding anything. Google Pixel XL Spy App lets you see every picture, text, call, and message a smartphone sends. It has a handy online interface for the controller and impressively hides from any and all prying eyes. There are few spying apps that are as useful and as powerful as this spy software for Google Pixel XL. In today, infidelity rate is increasing. Do you suspect your spouse is cheating? How to monitor their Google Pixel XL phone? The 21st century is marked by complexity and rapid change. Social development always generates social ills affect all of us, not just in above the age of 18. Employees tend to overuse the work phones assigned to them. Do you suspect that your employees and need monitoring their Google Pixel XL in the work hours? Using Google Pixel XL Spy Software’s location tracking feature you can easily and quickly track the device from inside your online account. 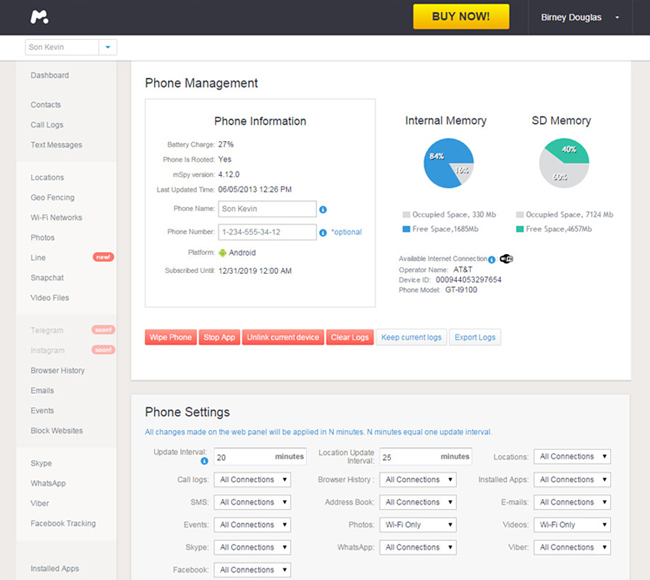 Record all incoming and outgoing calls, record call to or from specific contacts only, all recordings are uploaded to your online Dashboard. Google Pixel XL monitoring app lets you see the complete history of all calls; incoming and outgoing, including phone numbers, contact names, date, time and duration. With Google Mobile Tracker you’ll see all SMS messages sent or received on Google Pixel XL, even those that may have been deleted. Android Spy App’s keylogging feature allows you to view all text entered on a monitored Google Pixel XL. Google Pixel XL Spy Software allows you to check email history on monitored devices (Gmail for Android & iOS, as well as Mail App for iOS). Including Browsing History, Website Bookmarks, Blocking Websites, Wi-Fi Networks, Keyword alerts. Whatsapp Spy, Viber Spy, Facebook Spy, Skype Spy, Hangouts Spy, Tinder monitoring app, etc. To learn more about this feature, Click Here.